It doesn't take long for a new carpet to show signs of wear and tear. Whether from pets or kids or just through everyday living, your carpet will become stained and collect dust and dirt. Over time, this debris becomes embedded into the carpet fibers. 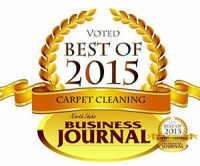 Healthy Green Carpet Clean's expert carpet cleaning technicians can help! Give us a call to clean your carpets, rugs and sofa and re-experience clean! Ask us how you can save money by joining our carpet maintenance program and enjoy beautiful carpeting and improved air quality year round. Carpet Cleaning by Healthy Green Carpet Clean In addition to carpet cleaning services, Healthy Green Carpet Clean can make your tile floors shine and get your grout looking truer to its natural color. We'll gently, but effectively removed dirt and stains from your tile and grout and revive your flooring. Give us a call and we'll schedule an appointment to provide a free in-home estimate for your Germantown tile and grout cleaning that is convenient for you. If you are looking for a carpet cleaning company in the Germantown area to clean your office or commercial building carpets, look no further! Healthy Green Carpet Clean has been cleaning commercial carpets in Germantown for over 17 years and we'd love to keep your employees healthy and your guests impressed! Regular carpet cleaning improves the air quality in your building, which in tern reduces employee sickness. Healthy Green Carpet Clean will be happy to provided a free, written commercial carpet maintenance quote, and keep your building in top shape. Wether you need caulking in your kitchen or Bathroom we have the equipment and expirince to do a wonderfull job. Our prices our designed to fit your budget - No bait and switch - We work hard to do a perfect job and to keep you as a loyal customer. If for any reason you are not happy with the job we will happily redo the job or refund every penny back to you guaranteed.